To display the flipped custom fields for one of your classes, click on the Classes tab along the top of the page. 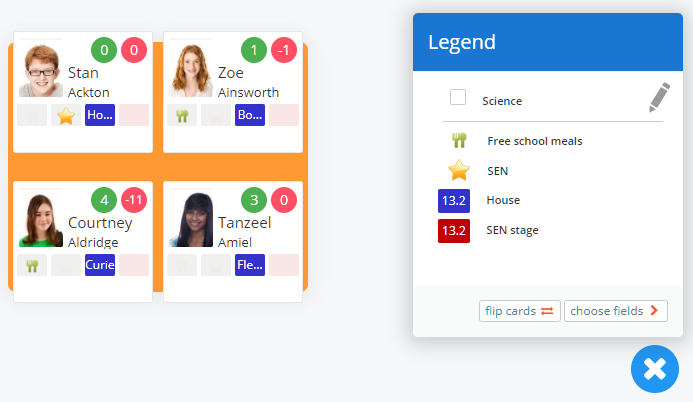 The legend will be visible, explaining which custom fields are currently being represented on the pupil cards. To see the custom fields on the flip side, click on the Flip cards button. You will now see the custom fields on the flip side and the legend will update accordingly.